Mosaic2 has published ‘Clickety Dog’, which has been developed by Greenius for iOS, Android and Blackberry Playbook. The game allows you to train a dog, just as you would with a real dog, using a popular and effective method of training animals known as clicker training. 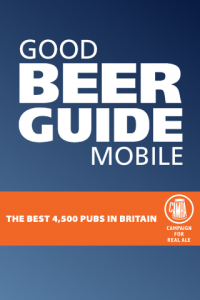 Version 1.0.3 of the iPhone CAMRA Good Beer Guide app was approved by Apple yesterday. Favourite pubs can be reordered. About screen links to information about CAMRA and how to join CAMRA. Emails to support automatically include information to identify your account enabling us to deal with any problems more efficiently. Added Setting to disable autolock. We are planning another update at the start of April which will add new features based on customer feedback and suggestions. For more information take a look at m.camra.org or CAMRA web site. F1 Insider, our latest iPhone app for Formula 1 has just been released! We just submitted F1 Insider to Apple, so it should hopefully be available for purchase on the App Store early next week. F1 Insider brings all the latest information on the 2009 Formula 1™ Season to your finger tips. Follow the F1 Insider team as we go through what looks set to be the most exciting Formula 1™ World Championship to date! I’ve posted some information on my blog about code signing gotchas, including a script to package up an AdHoc build into a .ipa file along with iTunesArtwork.